Pimpex Plastic, China supplies expandable polystyrene EPS raw materials mixer, EPS foaming extruding sheets machinery set, EPS thermoforming machines, EPS extruder, EPS crusher, EPS plastic regenerator, etc. Such EPS Thermoforming Machine integrates vacuum forming and mold forming technology. Such EPS Thermoforming Machine can turn almost all thermal forming plastic sheets into final products. Such EPS Thermoforming Machine adopts PLC control system, touch screen and digital displayed voltmeter for temperature precise adjustment. Such high efficiency full automatic forming equipment for thermoforming plastic sheets could fulfill feeding, heating, forming, cooling, demolding and sheets cutting (but not cutting final products from thermoformed EPS sheets) at one cycle. 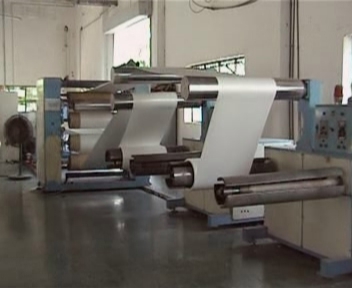 This machine adopts some imported components for reliable performance and easy operations. 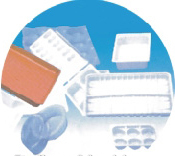 It is suitable for thermoforming EPS, EPE, PS, HIPS, PVC, PET, PP, flocking sheets that can produce various foaming package and foaming trays such as one time snack box, instant noodles bowl, curatorial injection salver, oral liquid salver, clean vegetable tray, bracket tray of mobile telephone, inner lining of cookies etc. Including Primary Extruder, Hydraulic Fast Mesh Replacing Device, Secondary Extruder, Melting Materials Pressure Sensor, High Pressure Pump (Foaming Extruding Injection Pump), Mould, Cooling Sizing Cannula, Hauling Device, Coiling Device, etc. Automatic Temperature Control System: 15 sections temperature automatic control, adopt intelligent digital thermal control instrument with high temperature control precise, stable motor running, switching, etc. 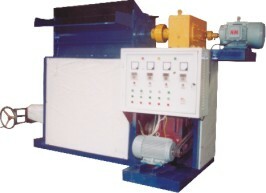 To regenerating flashes, edges, waste EPS into granule for reuse, including regenerator, water flume, pelleting granulator.